At Cowleys Building & Maintenance Exeter, we’ve got years worth of experience of delivering a multitude of different project types, from extensions to new builds and refurbishments and renovations. Here we will discuss the architectural plans set out for our city as commercial building contractors in Exeter prepare for major developments to the cost of £300m. The evolution of the city is on-going and, in fact, it seems plans to add substantial buildings to the city’s landscape are growing rapidly. Assuming all goes to plan in the development phases, Exeter is set to have a new bus station by 2020, at St. Sidwell’s Point. The station will be complete with one of the greenest developments of its type in the UK, in the form of a leisure complex and swimming pool and taking over its neighbouring site, Pyramids Leisure Centre which is run by Legacy Leisure. The Passivhaus Leisure Complex will be energy efficient, in view of reducing the building’s ecological footprint. Exeter’s current bus station opened its doors in 1964 but has recently been deemed unfit for purpose, making way for this £52m project to commence. 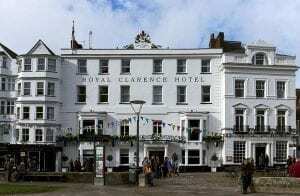 Plans have been made to rebuild The Royal Clarence Hotel, which was destroyed in a dramatic and devastating blaze back in 2016. 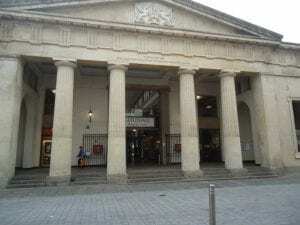 Restorations to the front of the historic building have been made, however large-scale building contractors, Kier, are faced with a complicated tender process in regards to the next phase. 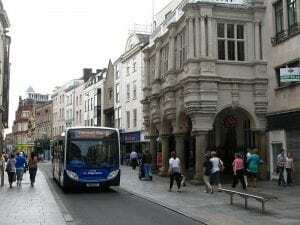 The owners of Queen Street dining quarters, Aviva, are looking to build on their success by building a bowling alley, restaurants and either a cinema, music venue or casino at Exeter’s Guildhall Shopping Centre. It has been confirmed that WHSmith will not retain its premises during the reshuffle, while Exeter City Council are yet to decipher the best option for the city. A new four-star hotel, consisting of 250 rooms, will be situated next to the M5 and Exeter Chiefs. The finalisation date on this eight-storey, L-shaped hotel is projected for the end of 2020. The Courtyard by Marriott hotel will be accessible by a purpose-built footbridge, stemming from the existing stadium complex, and will feature a rooftop glazed restaurant. 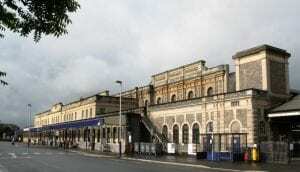 Work on a train maintenance depot at our city’s main train station is expected to be complete by 2020, the £40m project will see Great Western Railway extend its Exeter Olds View Depot facility. The development will lead to more frequent services and a larger number of seats available, as GWR look to expand their fleet size across the Devon and Cornwall area. Don’t forget, If you’re looking to develop either commercially or privately Cowleys has all your needs covered. Our highly trained and experienced professionals have the solution for you, take a look at some of our recent completed building projects. If we can be of assistance at all, please don’t hesitate to contact us on 01392 460 783.